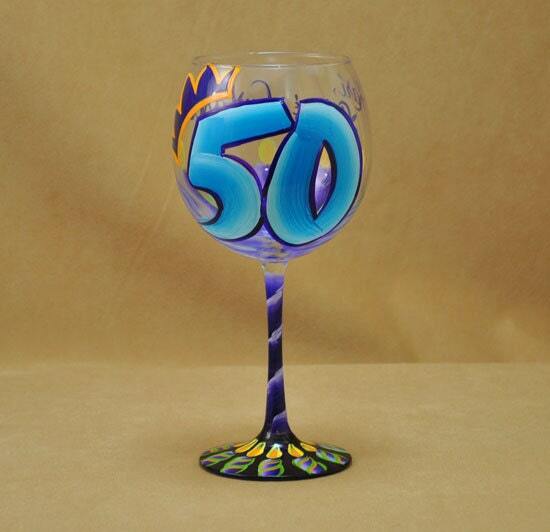 Beautiful hand painted red wine glass to celebrate the big 5-0. Adorned with candles and a crown for the landmark occasion. Can me customized to your color scheme and personalized. Ask us and see what we can do!